According to the U.S. Food and Drug Administration (FDA), a dietary supplement is a substance intended for ingestion that includes a dietary ingredient that adds further nutritional value to enhance the diet. Chances are, you have heard of dietary supplements, perhaps even tried them yourself. But how much can you say you know about them and their subsequent impact on human health? Some carry outstanding health benefits to the consumer, however some are associated with harmful health risks. Knowing the fundamentals of dietary supplements can lead to educated decision-making in regards to what supplements are most suitable for you. Dietary supplements come in many configurations such as capsules, tablets, softgels, gelcaps, powders, or liquids. 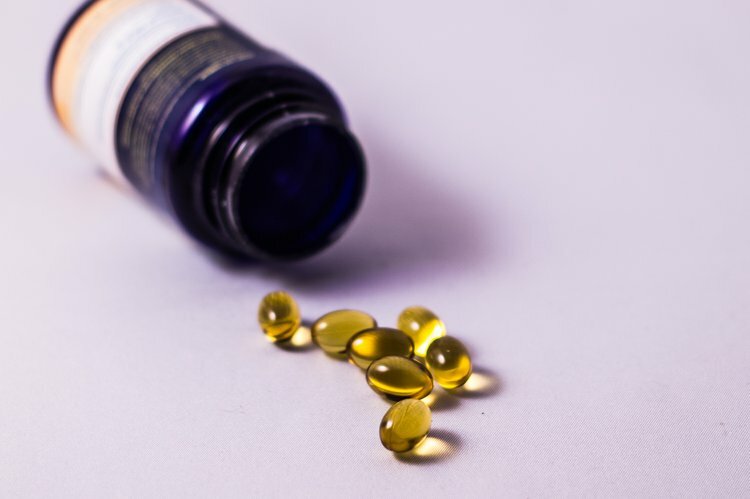 Some examples of popular supplements include acidophilus, Echinacea, vitamins D and E, multivitamins, fiber, ginger, iron supplements, omega-3 fatty acids, saw palmetto, fish oils, and St. John’s Wort. Calcium and vitamin D are often used for strengthening bones and deficiencies. Folic acid can be taken in pill form to help pregnant mothers avoid certain birth defects in their babies. Omega-3 fatty acids and fish oils might potentially help those with heart disease. Some supplements serve to assure that you get a sufficient intake of essential nutrients. Despite this, these supplements are not alternatives to the variation of foods that you should already be consuming in your diet. It is important to not rely on these supplements to provide all of the nutrients your body needs. Their use is not intended to inhibit, diagnose, treat, or cure conditions and disorders. The active ingredients in some forms of dietary supplements exert robust effects on the body. Consequently, some supplements may cause unforeseen side effects. These side effects are most prominent in individuals who take a combination of supplements or in exchange for prescription medications. They can impact a person’s reaction to anesthesia before, during, or after surgical procedures, as well as increase the risk of hemorrhaging. Consuming too much of a certain supplement can also have detrimental effects. Excess intake of vitamin A can lead to headaches, liver disease, birth defects, and decreased bone strength. Supplements are not required to go through the same extensive testing that drugs do; they also have little regulation. The FDA reviews new ingredients prior to marketing, but only evaluates their safety, not their effectiveness. It is the responsibility of the manufacturers and distributors to ensure their products are safe before they go to market. It is mandatory to produce these dietary supplements to minimum standards and without contaminants or impurities. The FDA encourages dietary supplement shoppers to pay attention to marketing tactics. Not all dietary supplements have proven and documented benefits. Look out for false statements such as ‘can treat or cure diseases’, ‘quick and effective cure-all’, and ‘totally safe’ or ‘no side effects.’ The term natural does not always indicate that the product is safe. Use respected organization sites when searching for dietary supplements online. Talk to a healthcare expert to determine which supplements and the dosage that would be most appropriate for you. They will be able to assess any dietary insufficiencies you may have or essential nutrients you might require in a certain stage in life. When taken in appropriate and safe amounts, dietary supplements can have beneficial effects to further improve your physical health. Gregory, P. J., Sperry, M., & Wilson, A. F. (2008). Dietary supplements for osteoarthritis. American Family Physician, 77(2). DeAngelis, C. D., & Fontanarosa, P. B. (2003). Drugs alias dietary supplements. Jama, 290(11), 1519-1520. Campbell, A. P. (2010). Diabetes and dietary supplements. Clinical Diabetes, 28(1), 35-39. Nissen, S. L., & Sharp, R. L. (2003). Effect of dietary supplements on lean mass and strength gains with resistance exercise: a meta-analysis. Journal of Applied Physiology, 94(2), 651-659. Maughan, R. J., King, D. S., & Lea, T. (2004). Dietary supplements. Journal of sports sciences, 22(1), 95-113. Bailey, R. L., Gahche, J. J., Miller, P. E., Thomas, P. R., & Dwyer, J. T. (2013). Why US adults use dietary supplements. JAMA internal medicine, 173(5), 355-361. Grandjean, A. C., & Ruud, J. S. (2002). Dietary supplements and athletics. Current Opinion in Orthopaedics, 13(2), 122-127.